A special appeal from Free Software Foundation executive director Peter Brown. "I'm a computer science student living in Dumfries, Scotland. Ever since I started using GNU/Linux as my main operating system in 2007, I've been advocating free software to my close friends and family. I wanted to show my support to the Free Software Foundation by becoming a member." --Daniel Bell FSF member# 8156, joined 2009/12/01. As we grow more dependent on computers, the software we run is of critical importance to securing our future. Free software is about having control over the technology we use in our homes, schools and businesses, where computers work for our individual and communal benefit, not for proprietary software companies or governments who might seek to restrict and monitor us. Software: we are the home of the GNU project, the campaign to develop a completely free operating system. We promote those distributions of the GNU system that are 100% free--such as gNewSense and Trisquel. They demonstrate that freedom is possible and that free software is easy to use. We also highlight high-priority free software projects that make it easy for everyone to make the move to the GNU/Linux system and away from Windows or Mac OS. And we maintain the Free Software Definition so that we all know what it means to have software freedom. Licensing: we publish the world's most popular free software licenses, particularly the GNU General Public License. 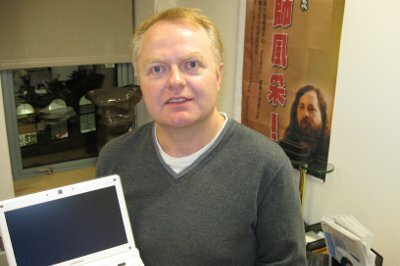 The GNU GPL is the only license written with the express purpose of protecting computer user freedom and preventing free software from becoming proprietary. Software developers around the world use the GNU GPL to express their respect for users' freedom and to encourage other developers to do the same. We collect thousands of copyright assignments from developers working on the GNU system and other important free software projects. We then register these copyrights with the US Copyright Office. This lets us protect the distribution of free software worldwide and ensure that corporations follow the rules and pass on (to you!) all the rights that our free software licenses promise. Campaigns: we campaign to promote and extend the adoption of free software and free data formats. We campaign for free formats in our PlayOgg and OpenDocument campaigns. We campaign against Digital Restrictions Management (DRM) and Treacherous Computing in our DefectiveByDesign.org campaign. And for the past two years, our campaign against software patents (EndSoftPatents.org) has driven home the message about the harm software patents inflict on society, and our submission of an amicus brief to the US Supreme Court could help end the patenting of software entirely. However, all our campaigns are focused on raising awareness as to why it is ethically and socially responsible for a society to be in control of its computing. Only the free software movement focuses on the ethical aspect of software, yet it's the most important area. For our society to attain computer user freedom we must make freedom our goal! We rely entirely on the support of individuals like you to donate or join the Free Software Foundation as our members. If you use free software. If you use GNU/Linux. If you support the cause of computer user freedom. Get involved. Become a card carrying member and support our work.